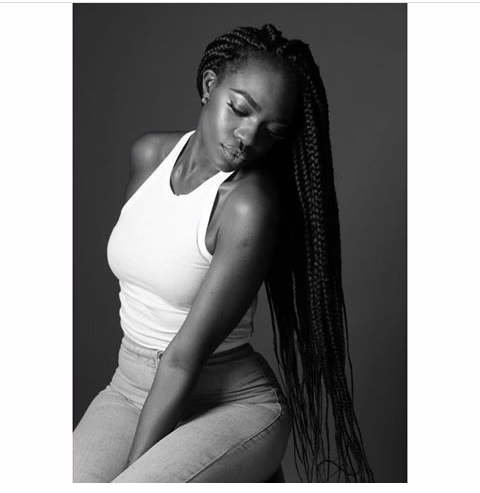 Beverly Ada Osu is a Nigerian video vixen, actress and model born September, 7 1992 in Lagos but hails from Delta State. 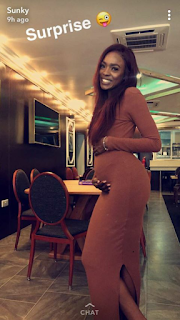 Beverly uploaded the above picture on her Instagram story with the caption "Surprise"
The Nollywood actress has featured in a lot of movies including Funke Akindele's award winning TV series, Jenifa's Dairy. Congratulations Beverly we can't wait to see your cute baby!